Danish goalkeeper who became one of his generation's best, captaining Manchester United to the 1999 UEFA Champions League title. He helped Manchester United claim five Premier League titles and competed for the Danish national team from 1987 to 2001. His first mentor, former Gladsaxe-Hero coach Svend Aage Hansen, would later become his father-in-law. He was a four-time UEFA Goalkeeper of the Year and was also voted by the IFHS as the World's Best Goalkeeper during two of those years. He was born to a Polish emigrant father and held Polish citizenship until 1970. 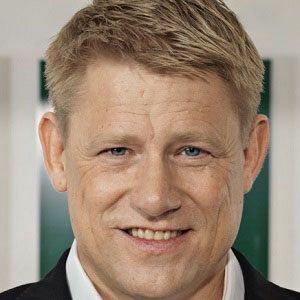 He married Bente Schmeichel. They had a son named Kasper who won a Premier League title with Leicester City in 2016. He was favorably compared by the IFHS to Lev Yashin, another great soccer goalkeeper.